The National Disaster Response Force (NDRF), the police and the locals are searching for them. The search has been resumed since the morning. 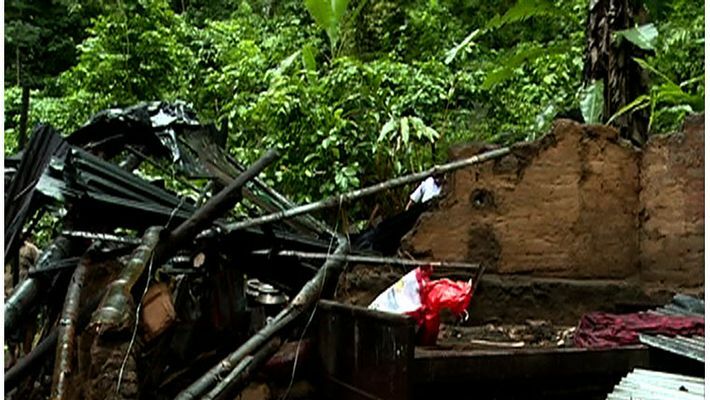 The search for those missing persons following the landslide in Thottirippuram in Thamarassery has continued today. Last week, seven people, including three children, were found dead. Now six people from three families are reportedly missing. The National Disaster Response Force (NDRF), the police and the locals are searching for them. The search has been resumed since the morning. The police and fire force are trying to intensify the search by removing the rocks in the landslide area. Earlier, seven people were found dead under the rocks. Seven people, including three children, died on June 14. The deceased have been identified as Karinjola Abdurahman (60), his son Jaffar (35), Jafar's son Muhammed Jassim (five), Dilna Sherin (nine), Mohammed Shahabas (three), a half-year-old Rifa Fatima, Karinchola Hassan (65), daughter Janet 17) were the deceased. The Collector of Kozhikode has instructed people to avoid unnecessary trips. The Collector has also informed the people to call 1077 in emergency. The collector has also issued a red alert in the northern districts in Kerala and also a notice to evacuate the people if necessary.